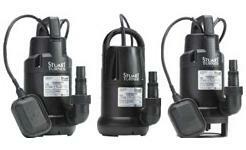 Drainage submersible pumps should be robust and long lasting to pump clean and dirty water. They can be used for flood water drainage, private garden and horticultural watering, or for decorative effects such as internal and external fountains and waterfalls. 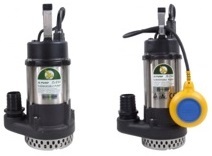 A clean water submersible pump has useful applications in clearing clean water from gardens as well as blockages in domestic plumbing in the kitchen or bathroom. 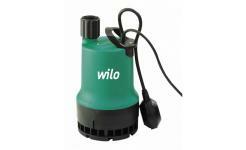 Versatile pumps can be easily managed for controlling water levels in ponds. 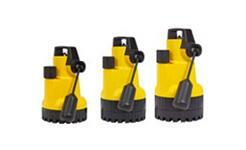 Some pumps are able to handle solids of up to 30 mm diameter. 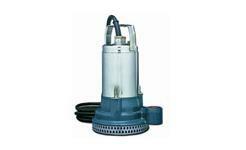 The Hydroforce Series 3 clean water pump is designed for use as a submersible pump in rainwater harvesting systems. 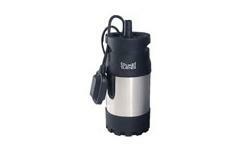 It can be completely immersed in the cold water tank, deliver up to 3.5 bar pressure (compared with average household pressure of between 2.5 and 4.0 bar) and has a capacity of 42 litres per minute. 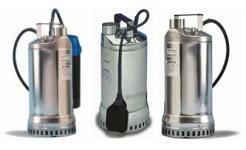 Sewage pumps are designed to clear clean as well as dirty water in domestic or industrial applications. 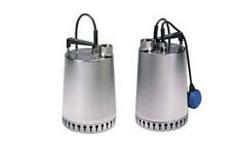 These are made of cast iron or strong stainless steel to ensure durability and long term use. Engine driven pumps are the best for heavy duty use in draining flood water, building excavations as well as ponds or ditches. 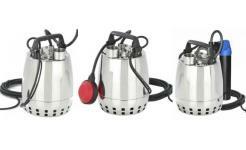 These can be both compact and portable. The Makita 240V submersible drainage pump has a back impeller that is suitable for draining waste liquids with suspended solids from cesspools and reservoirs. 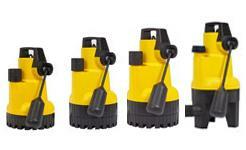 It has a capacity of 170 litres per minute and a built in overload motor protector with an automatic reset. 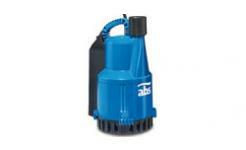 The Triton Aqua Pump Pro is designed specifically to remove ground water from a basement cavity drain membrane system. 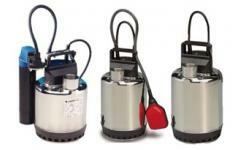 It has a polyethylene sump, a locking access cover and a submersible pump that is quick and easy to install with a capacity of 132 litres per minute.